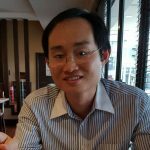 Competition in the Indonesian hot cereal market has intensified with the entry of Nestle Nestum, which is at present is the market leader in 3-in-1 cereal in neighbouring Malaysia. 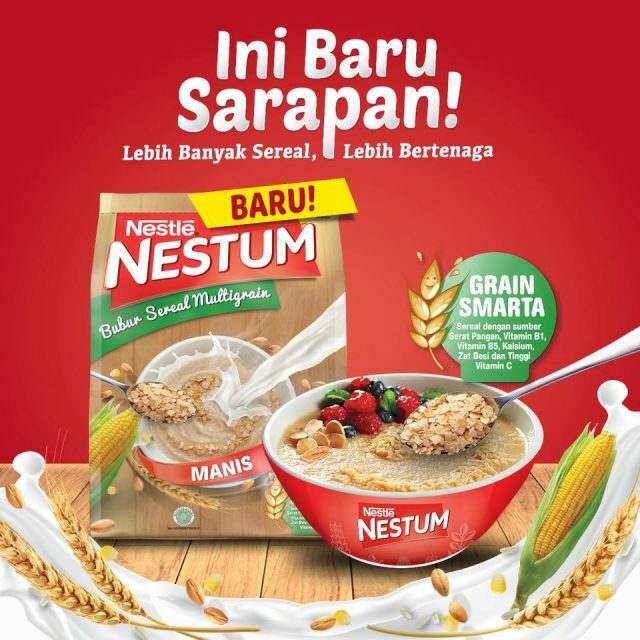 Nestle Nestum is described as “Bubur Sereal Multigrain” in Indonesian, literally known as “multigrain cereal porridge” in English. Nestum comes in two variants Manis (sweet) and Original, which is to be prepared by adding a glass of hot milk. A bowl of Nestum is described as having the protein of a cup of yoghurt, fibre of a slice of wholemeal bread and calcium of a glass of milk. Nestle is differentiating Nestum from the other 3-in-1 cereal drinks by claiming “Sarapan itu dimakan bukan diminum” or “Breakfast is to be eaten and not to be consumed in the form of a drink.” As such, Nestum is to be eaten in a bowl, which means it should have a thicker texture compared with other 3-in-1 cereal drinks, and will be providing higher satiety compared with cereal drinks. Nestum contains multigrain comprising wheat, corn and rice as well as milk and is low in sugar to provide the energy needed for the day. The face of Nestum is Irfan Haarys Bachdim, the Indonesian professional footballer who currently plays for Bali United and the Indonesia national team. 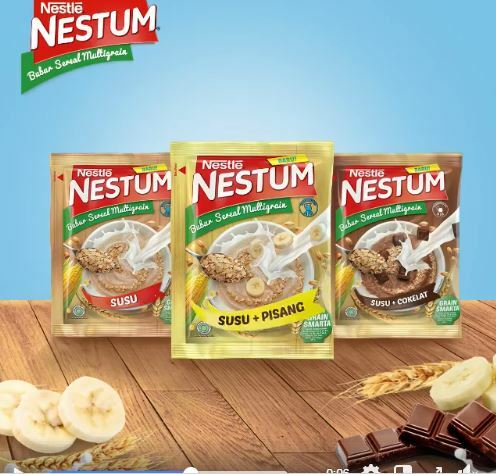 Also available is Nestum 3-in-1 in sachet with milk (susu), milk + banana (susu + pisang) and milk + chocolate (susu + coklat). The way to consume Nestum 3-in-1 is to add hot water, stir and then eat it. 100Plus in 1 litre format?